Read Chea’s Story & See the Change You Funded! I want to tell you my story. I didn’t know that when I joined Epic Arts I’d grow in confidence and that I’d discover a talent and passion for drawing! I was 16 when I dropped out of school. This is normal in Cambodia it’s just what you do when you’re old enough to work and help your family. There was a lot of construction work around my town so I decided that’s what I’d do. In total I worked on construction sites for five years before my accident. In 2011 I started on working for a new company. It was a good job, I’d been working there for 20 days when my boss asked me to install a roof. I’d done this loads of times before so I climbed up the 4 metre-tall concrete column to begin my work. I don’t remember much after that except my life changed forever. I was holding the metal roof panel. I didn’t notice the electricity cables above me. Thinking about it now, it was a death trap. Electrocuted, that’s what doctors told me when I woke up. My friends said they saw me catapulted through the air whilst they watched in shock as I hit the ground. The metal roof had connected to the cables above me and I was on the floor unconscious. I woke up in the hospital to these stories and two arms that were turning black. Day after day I watched as the dark rot crept up my arms like a poison, they couldn’t be saved. I had to have surgery to have them removed. Devastated all I could do was cry. I became a different person, I used to be so full-of-life. It wasn’t long before I spiraled into a deep depression, drinking everyday and hardly leaving my parents house for three years. Terrified and angry I felt alone and useless. I couldn’t see a future for myself that’s why during those three years I stayed inside and drank rice wine. An uncle of mine wanted to help me. He visited every week and gave me a small bit of money to feed his ducks. I began to drag myself out of the depression. Soon after that a Social Worker from Epic Arts met my mother and told her about the Inclusive Arts Course. “How can a person who uses a wheelchair dance? 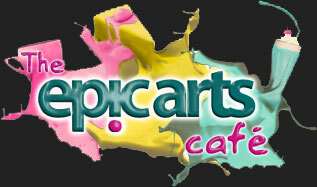 It’s impossible, I can’t even use a spoon!” was my first thought when I heard about Epic Arts. I wanted to see for myself. Whilst editing Chea’s story I’ve been able to hear him as he laughs and sings from across the building. He’s a completely different man to the one I met almost two years ago. Back to being the life and soul of the party, the cheeky chappy, the confident young man he was before his accident. Thanks to your donations Chea and 11 other students will graduate from our course in April 2017 and we will welcome a whole new group of students to Epic Arts. I had the chance to visit your store in Kampot and was enchanted by how beautiful the store was , each object so well made . I hope to be able to come back one day and when I can will contribute . I am having an art show at a little bookstore in 1 month and will be happy to share your story so others can learn about this terrific program . I am based in Toulouse , France but am originally from the US. Continue your great work truly enjoyed the videos ….